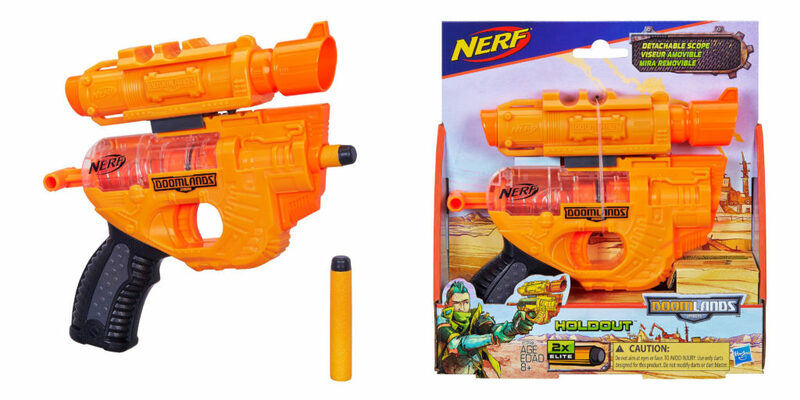 Despite the ton of new blasters that were shown off at the New York Toy Fair, there were other miscellaneous Nerf products that weren’t listed in the 2018 Fall Product Descriptions Media Release. Thanks to other bloggers and YouTubers, we have some pictures of these items. At this current point in time there are no confirmed titles and pricing for these upcoming products. Battlers can show their team colors with Nerf Rival Vision Gear! These goggles have a team color indicator bar that can be changed by moving the lever to display red, blue, or white to designate the player as a member of Team Red, Team Blue, or Phantom Corps. The goggles are designed for a comfortable fit and have an adjustable elastic strap. Gear up for battle with Nerf Rival Vision Gear! Pricing and prodcut description was taken from Entertainment Earth – these goggles are already listed on the website. 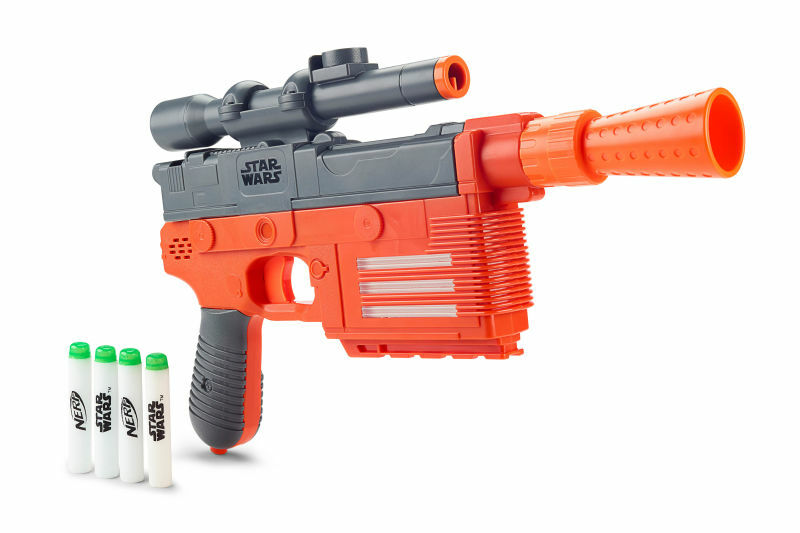 This blaster operates very much like the Rival Apollo (or Helios). It is spring powered and has a bolt action prime. Like the Apollo, a seven round magazine is loaded into the bottom of the handle. The Stormtrooper blaster comes in very fancy packaging, similar to the Deadpool Kronos blasters. 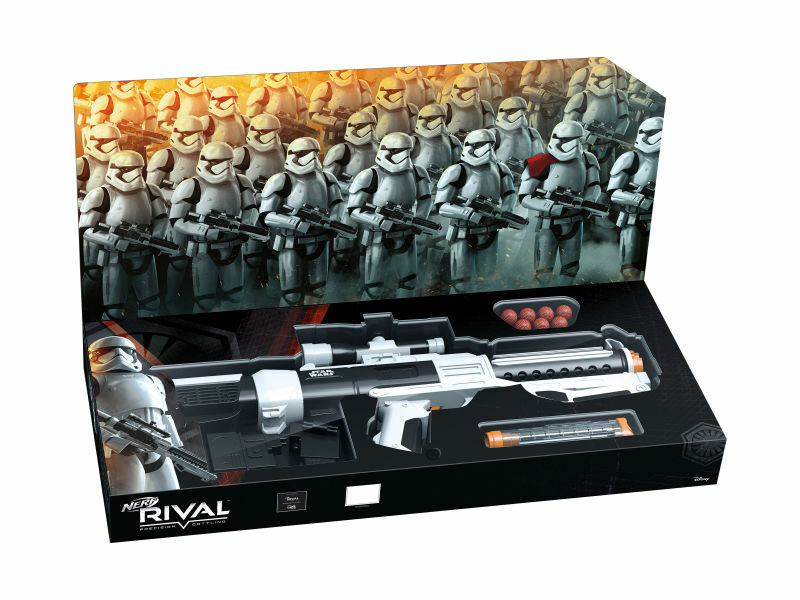 The Rival rounds included with this blaster are red. The Scout MK 2 was shown off at the Toyfair, however there is no official information about it at this current point in time. By its name it’s supposed to be the second version of the N-Strike Scout IX-3, however they are nothing alike. The Scout MK 2 is a four shot revolver and is primed by the back, like a Firestrike. 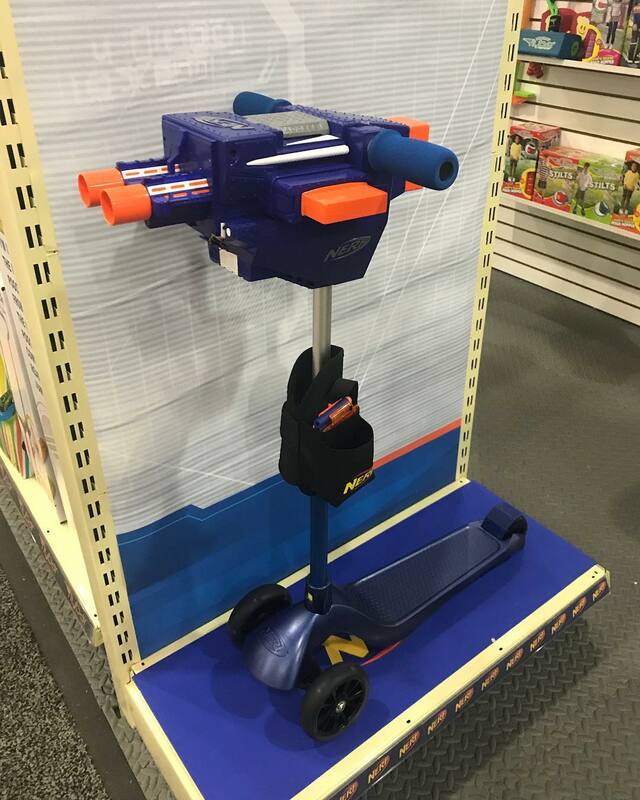 It’s odd, but it’s not the first time that Nerf has made a scooter before. This Flybar scooter has a full-auto mini blaster intergrated onto its handles. 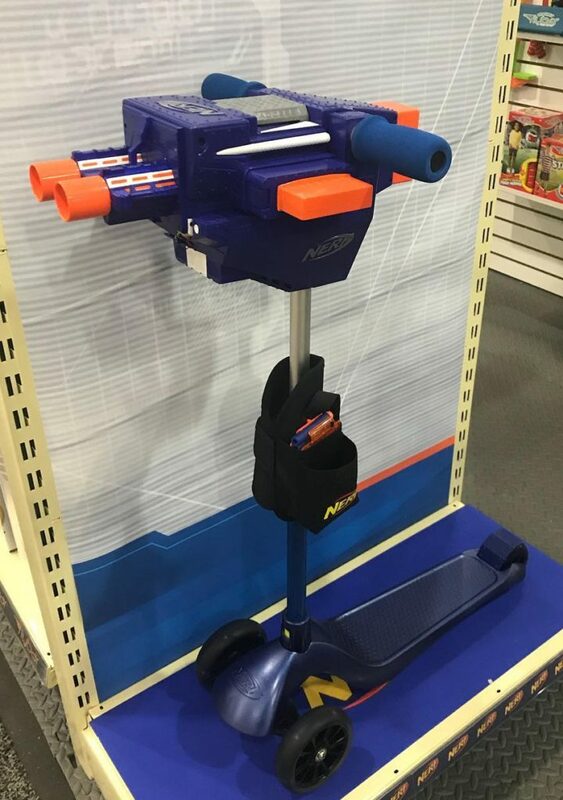 A magazine can be loaded on each side of the blaster and there is a trigger behind the handle of the scooter. 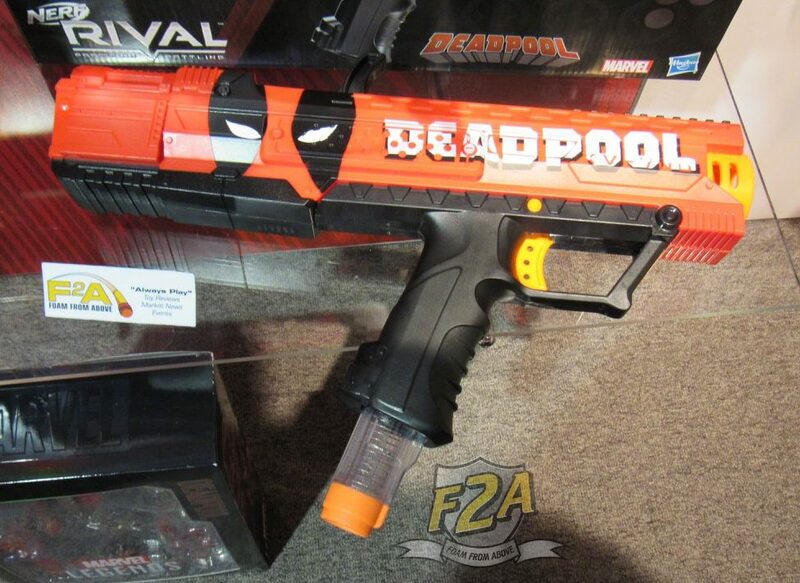 A Rival Appolo with Deadpool Decal. And that’s about it. Let us know if we missed anything else. 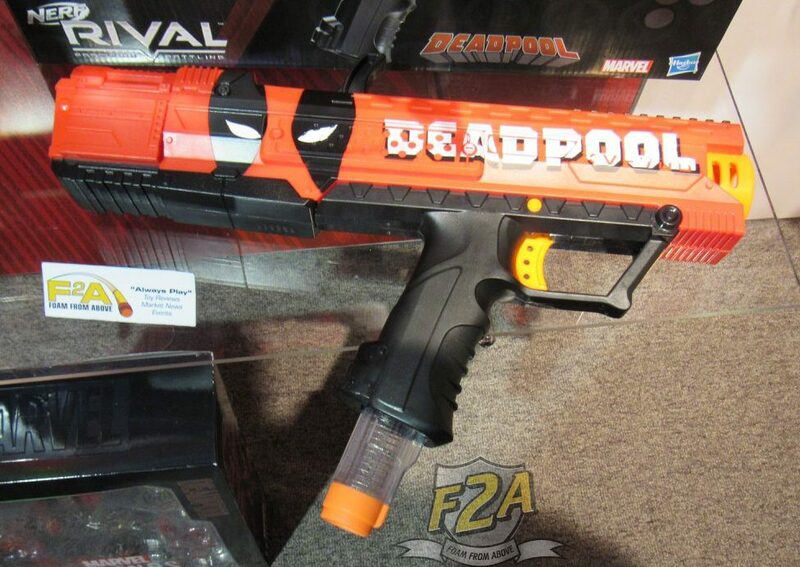 There will also be a lot more Nerf gear from Jaweres. 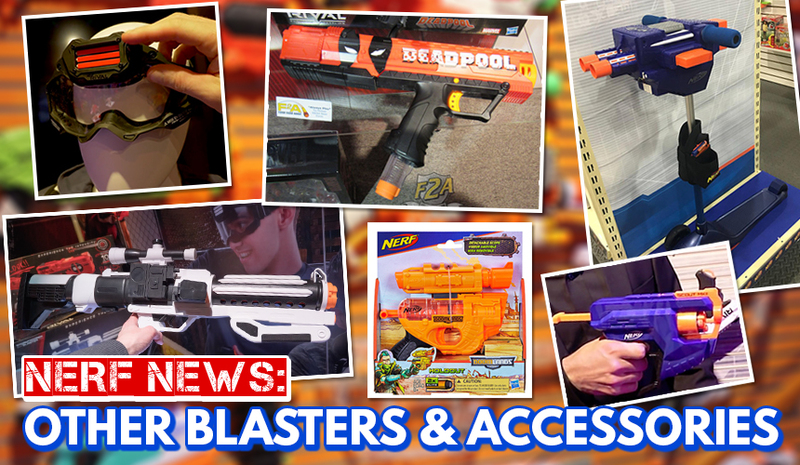 Check out Foam from Above’s blog post on the upcoming Jaweres Nerf accessories. 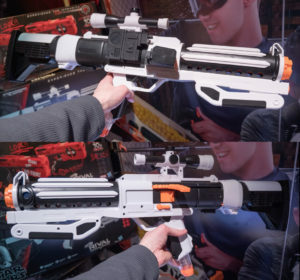 This entry was posted in News/Updates and tagged 2018, nerf, new york toy fair, rival, star wars on February 26, 2018 by JJ Reviews.